An oil for oily skin might sound like the furthest thing away from good skin sense, I know. But those specifically formulated work as they hydrate the skin and repair the lipid barrier. This in turn reduces the skin’s need to produce oil. 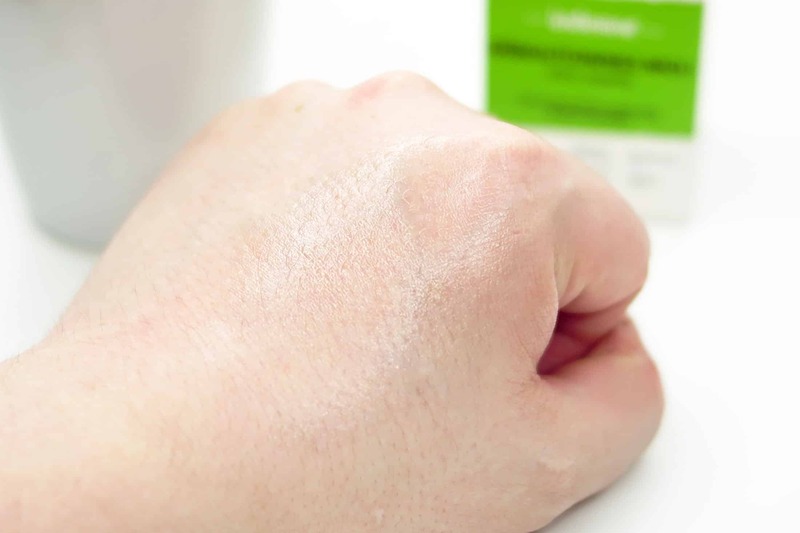 The Indemne Unexpected Lotion is formulated with mostly natural ingredients where appropriate. There’s a little Dicaprylyl Ether and Lauryl Alcohol which together form a lightweight emoliant – this compound is a ‘fatty’ alcohol. There’s also a little fragrance but when you get your nose to it, there’s barely anything at all. You can mainly smell the hemp seed oil and cinnamon but it’s very faint. This wouldn’t seem out of place in the Aesop lineup to be honest based on both texture and smell. 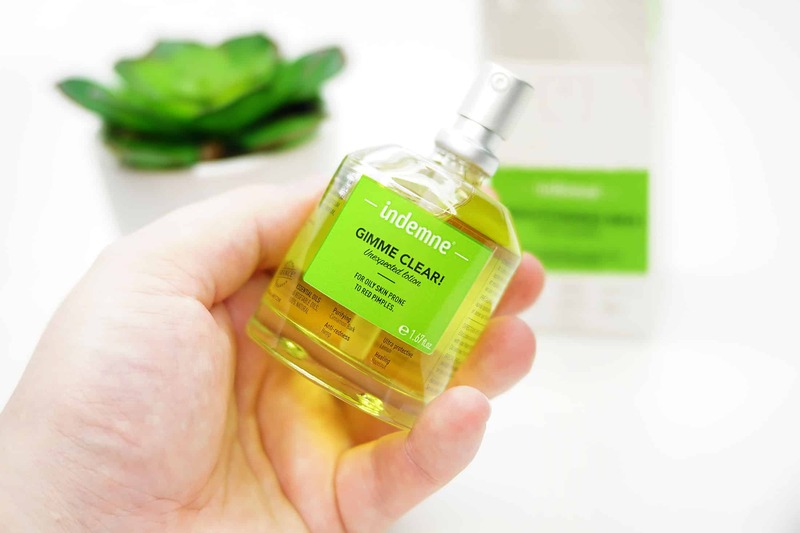 Although their packaging hints otherwise, the formulations of Indemne do hint at that sort of target market – natural efficacy at a masstige price-point. Unexpected Lotion feels good on the skin leaving it soft, smooth and conditioned. It’s not heavy at all but it definitely feels like there’s something there. I’d personally keep to using this at night. N.B. You shouldn’t use oils during the day; particularly if it’s bright outside as risk of burning dramatically increases. Do chips cook better with or without oil? Exactly. Ingredients can be found at the bottom of this article but it’s worth pointing out some of those featured. There’s a base of Cprylic Trigylceride, Hazelnut and Hemp oils that form a light and easily absorbed base. Then Lemon, Carrot, Cinnamon and surprisingly Oregano Flower (not come across that in my cosmetics before) work on killing surface bacteria whilst brightening and calming. As with any oil or highly active product, it goes without saying that you should avoid the eye area with this. If you feel you need to moisturise as well, l like I did, apply your moituriser after using the Unexpected Lotion. Use something much lighter than you’d usually wear so as not to ‘overload’ the skin. For me, Perricone MD OVM Cream was a good call, particularly for a night. I did notice that my skin wasn’t as oily by the end of the day after using this over a few evenings. To get the full effects, this needs to be used over a period of at least a month, but I have very little doubt that it won’t work! Indemne Gimme Clear Unexpected Lotion has weird availability. It’s not available at any of the big cosmetic and skincare retailers but is available at some really random online natural cosmetic shops. The best I found it for was here from Love Lula for £18.42 with Free 1st Class delivery. Caprylic/capric Triglyceride, Coryllus Avelana (Hazelnut) Seed Oil, Cannabis Sativa (Hemp) Seed Oil, Squalane*, Citrus Limon (Lemon) Peel Oil, Daucus Carota Sativa (Carrot) Seed Oil, Cinnamomum Zeylanicum Bark Oil, Origanum Heracleoticum Flower Oil, Dicaprylyl Ether, Lauryl Alcohol, Parfum, Tocopherol, Cinnamal, Citral, Limonene. This article first appeared on MANFACE written by Thom Watson. It was published on Monday 3rd April 2017 and was last updated on Tuesday 4th April 2017 at 9:55am. It's categorised under Acne, spots & blemishes, Indemne, Oily Skin where you'll find more related content. As you told “formulated with mostly natural ingredients” few times, I just need to precise that our Gimme Clear lotion is formulated with 100% natural ingredients. Then, you wrote that people “shouldn’t use oils during the day; particularly if it’s bright outside as risk of burning dramatically increases.”, so I just need to say that you must not use it before going to the beach or if you planned to tan all day long, otherwise there’s no problem, even if it’s really bright outside. But it’s important to precise it, you did well! Once again, the whole team thanks you for your review! Thanks for your comment, it’s always great when brands read and get involved. I have to ask then about the inclusion of Cetiol® LDO (Dicaprylyl Ether and Lauryl Alcohol) – is this a natural ingredient? My information is that it’s a synthetic emollient compound produced by BASF. We have conflicting information regarding oils I believe, but if someone is acne prone, they’re already highly sensitive to the sun and sun damage so I would never recommend an oil during the day. Also skin is more receptive to oil at night during the repair cycle. Thanks for letting me know about your UK website.